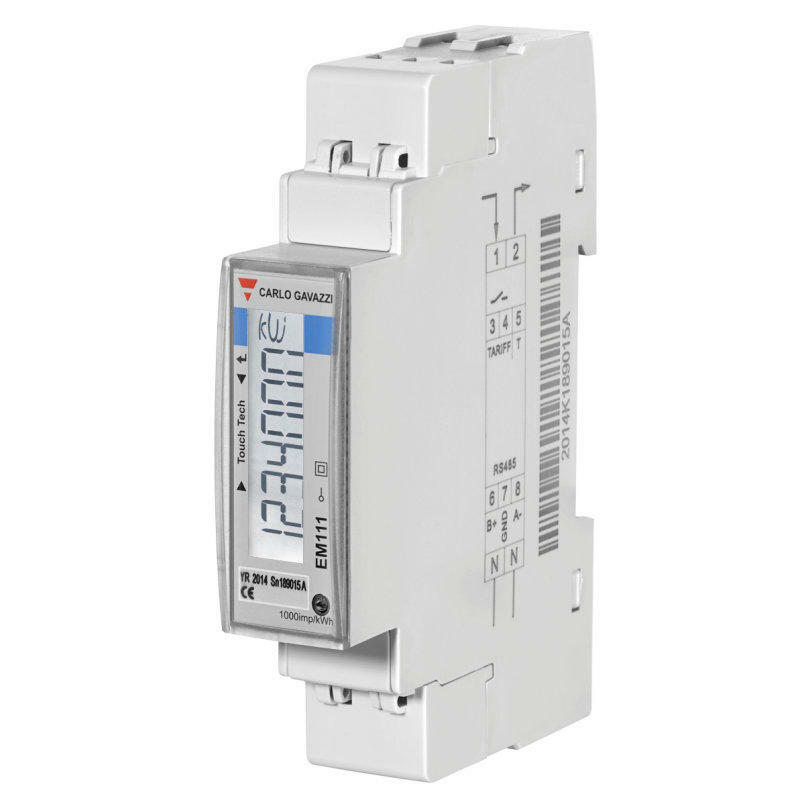 The EM111 is the smallest DIN rail meter supplied by Carlo Gavazzi and comes with a 7 digit LCD display. This meter is accurate to class 1 and displays both import and export energy and can record readings on two separate tariffs. 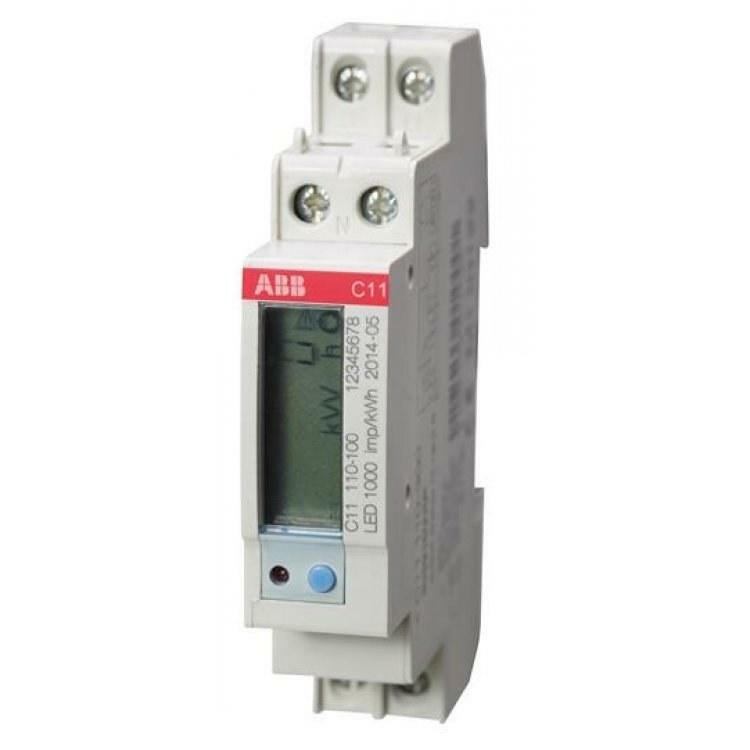 This reliable meter is capable of monitoring consumption on loads of up to 45 Amps. The readable parameters are Energy (kWh), Active Power (W) , Reactive Energy (kVArh), Voltage (V), Current (I), Power Factor (pf), Frequency (Hz), kW demand and kW demand peak. 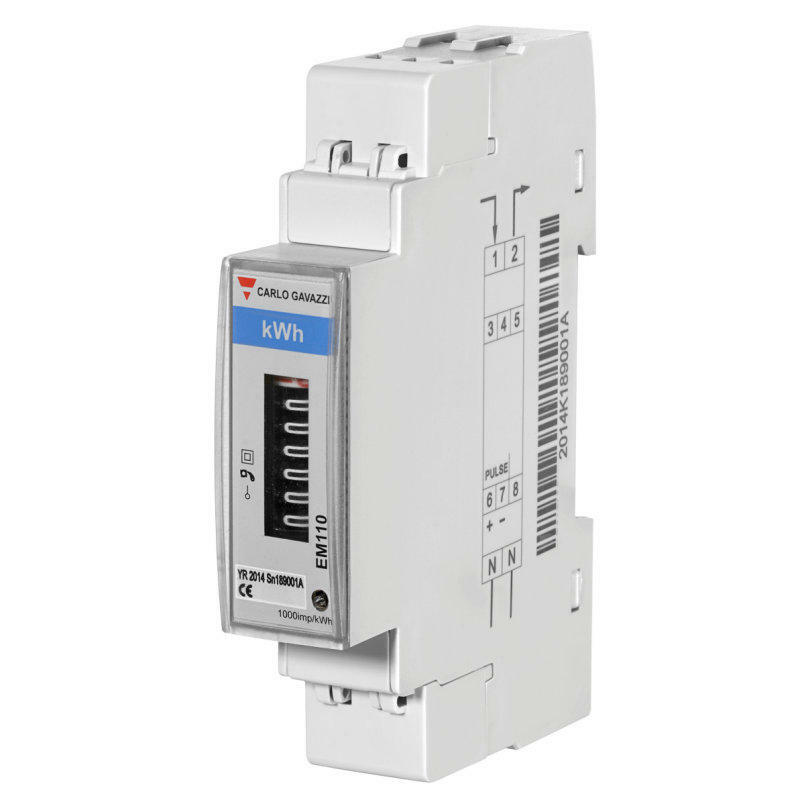 In addition this unit has an RS485 Modbus output for remotely reading the parameters. N.B. 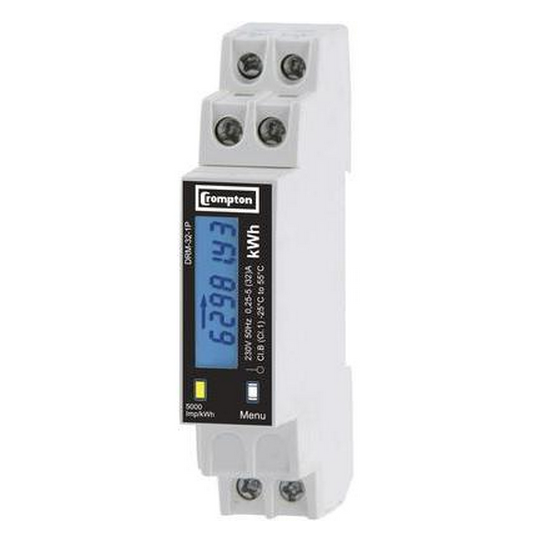 This meter can be fitted into a DIN Rail enclosure. 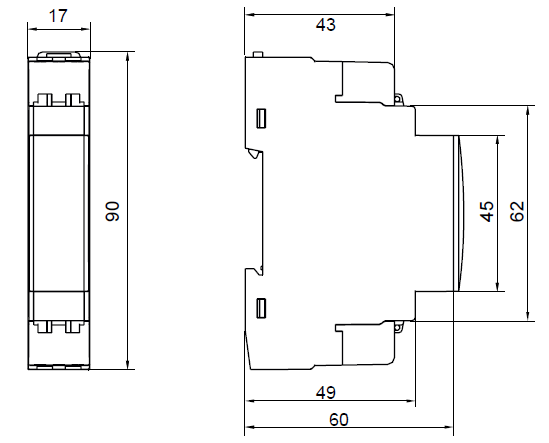 Click here to see our full range of Enclosures.